Battle Ground Public Schools has received a $25,000 grant to purchase new equipment for Prairie High School’s Computer Integrated Manufacturing (CIM) class. The grant is from Project Lead the Way (PLTW), a non-profit organization that provides hands-on curricula in the fields of computer science, engineering, and biomedical science. The primary goals of PLTW classes are to build enthusiasm while developing in-demand skills and providing students with an opportunity to explore careers through hands-on learning and real-life problem solving. Prairie's CIM course illustrates the opportunities related to manufacturing by teaching students about modern manufacturing processes, product design, robotics, and automation. Students in the CIM class build upon their Computer Aided Design (CAD) experience through the use of Computer Aided Manufacturing (CAM) software. 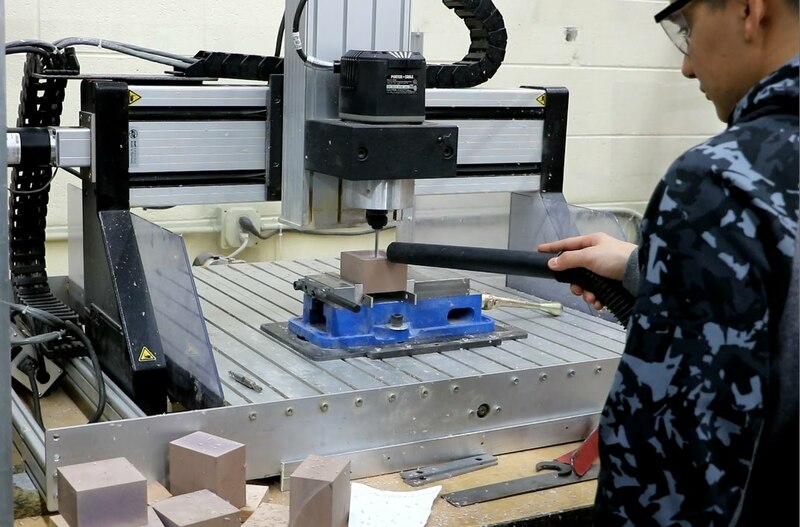 With this software, students import a digital design into a program that a Computer Numerical Controlled (CNC) mill uses to transform a block of raw material into a product designed by a student. Students learn and apply concepts related to integrating robotics, such as Automated Guided Vehicles and robotic arms, into manufacturing systems. 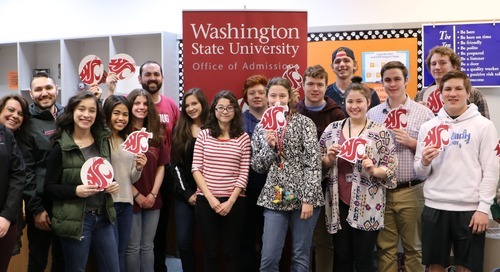 The $25,000 grant will be used to purchase a new CNC mill and robotic arm bundle for PHS, ensuring that the classroom is properly outfitted to fully take advantage of the curriculum. Project Lead the Way was first introduced to the district at the middle school level through Pleasant Valley’s Design and Modeling and Robotics courses. 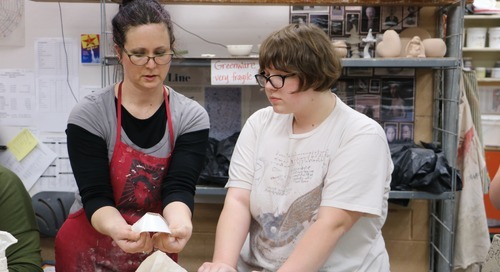 Since then, the district has added PLTW classes at Daybreak and Tukes Valley middle schools, providing a gateway for more students to transition to related high school courses. Computer Integrated Manufacturing is the third and most recent PLTW class offered at PHS, joining Introduction to Engineering Design and Principles of Engineering. 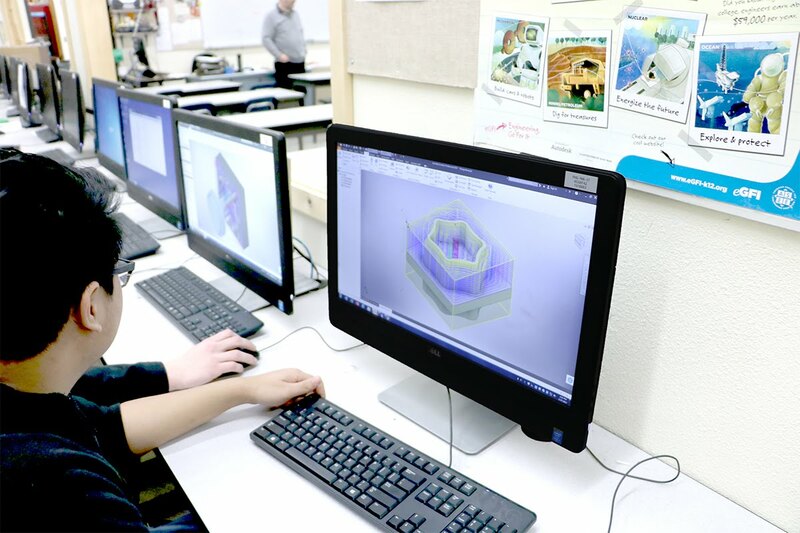 Students have the option to take Introduction to Engineering Design in place of required fine arts credits, and Principals of Engineering can take the place of physics.